Nursing Home Fire Preparedness: Are Your Loved Ones Safe? As the holiday season ushers in cooler temperatures, it is important for nursing home staff and family of nursing home residents to review fire safety plans. Reduced staff during holidays and winter fire hazards, such as space heaters, can be a deadly combination. Family members should check with nursing home administration to be sure they have an emergency preparedness and evacuation plan, particularly for residents with limited mobility. Families: Are Your Loved Ones Safe? Having a loved one in a nursing home can be stressful and can often make people feel somewhat helpless….You can play a role to increase the safety of your loved one. Here are a few things to consider when either choosing or checking on someone already in a nursing home. You have a right to get answers regarding the safety conditions that effect your loved one. It is important to realize that people living in nursing homes may not be able to evacuate because of mobility or other disabilities. Proper planning, training, and practice of all staff are essential in order to provide for the safety of residents. Every facility should have written fire procedures that are understood and practiced by all staff. Staff should be responsible for knowing and carrying out their part of the plan. That includes doctors, nursing staff, kitchen staff, maintenance, volunteers, and others. There should be a clear “code word” agreed upon beforehand for the facility to alert other staff in case of fire. Call out the code to alert staff. Evacuate everyone in immediate danger. Close doors to contain smoke and fire. Once the fire is contained to the room of origin behind closed doors, never reopen the door or reenter the room to extinguish the fire. Close all doors to patient rooms. In evacuating, make sure no patient is left behind. 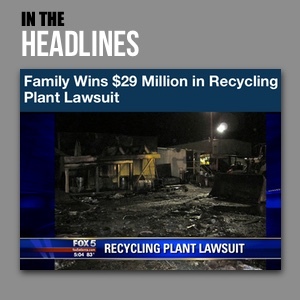 Read full article at the NFPA. 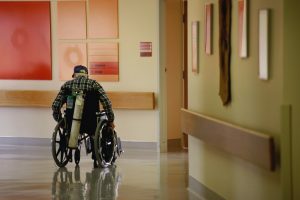 Victims of Nursing Home Safety Negligence: What Are My Legal Options for Justice and Compensation? As each case and property is unique, victims of nursing home safety negligence and their families should speak with an experienced premises liability firm as soon as possible to ensure all evidence, such as surveillance footage or faulty wiring, is preserved and their best interests are protected. We Fight for Victims of Property Safety Negligence in Georgia. Contact us Now for a Free Consultation.